We provide pathways that help individuals and organisations towards understanding, through qualitative and narrative methodology and storytelling, how social and personal issues can be negotiated and understood. Our particular interest is bridging the gap between what people say and how corporate businesses, agencies, departments and funders interpret their narratives. We also carry our research into social issues and operate a social analysis service. Our aim is to provide a model that helps to develop the tools to solve problems in a holistic way. Through research and audit we provide social and personal analysis for a wide range of subjects. Our service focuses on research with a qualitative flavour. We are happy to conceptualise projects from concept to completion or to carry out analysis that forms a small part of the whole. A large part of our work involves analytical research services aimed at a wide base of social and community projects. We can provide a full interview service complete with transcripts and analysis, or an analysis of existing data. Service providers could perhaps employ both our individual program and our organisational service in a combination of research and investigation into difficult issues such as domestic violence and post traumatic stress. An example of how this works can be found on out Service Providers page. We are based in central Manchester but can travel throughout the UK and outside the UK. We provide outcomes in a variety of media including reports, podcasts, webinars, meetings and events, presentations, drama and creative writing. If you have further questions regarding the service, please make an enquiry on the form below. Our social analysis and research services are conceptualised and operated by experienced researchers. More details can be found on our research page. 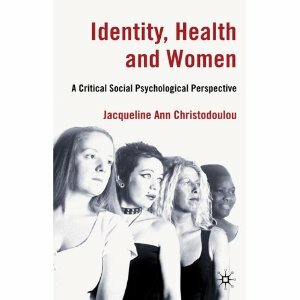 Social Analysis and Research Services was originated by Dr Jacqueline Christodoulou, author of the book 'Identity, Health and Women: a critical social psychological perspective' which was published by Palgrave Macmillan in October 2010. Jacqueline has a BSc (Hons) in Psychology. She has studied narrative psychology and identity construction to PhD level with a focus on health and is a Chartered Member of The British Psychological Society and a Member of the Society of Authors. Jacqueline is registered with the Health and Care Professionals Council (HCPC) as a Pratitioner Health Psychologist and is a Chartered Scientist. She also co-chaired the Narrative Psychology Forum at Manchester Metropolitan University. Jacqueline has conducted qualitative research into identity construction, women's health, media, domestic violence and has experience in organisational safety and reliability in addition to personal development strategising. In addition to her work in safety and reliability, Jacqueline continues to research domestic violence issues and has recently become involved in research and development around allowing the families of missing people a voice in society. Jacqueline's research interests are: health, women's health, sexual health, domestic violence, post traumatic stress disorder, personal development, social analysis.